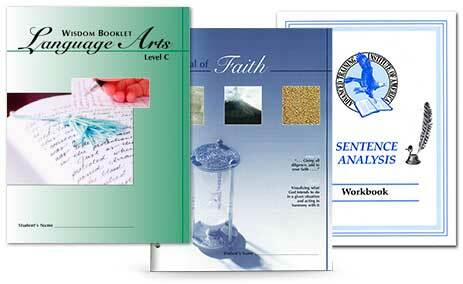 When using a unit study, such as the Wisdom Booklets, the avenues of possible learning are limitless. You’ve likely found, however, that your monthly schooling time is anything but limitless! 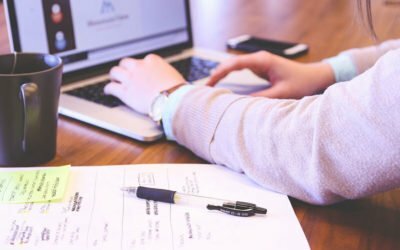 Multiple project choices may be intriguing, but sometimes you would rather know that what your students study is covering all the bases without overlapping what they’ll study in the future. That’s where the Further Study Focuses come in. You can use the Further Study Focuses listed in your Parent Guide Planner as a guide on what to major on during that month’s study. 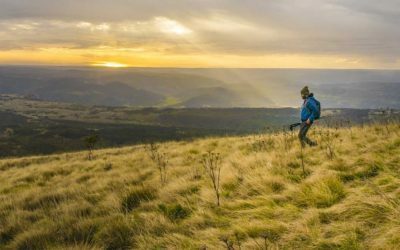 These focuses relate directly to the History Resource (learning meekness with Otto Koning in Papua New Guinea) and the Science Resource (components of wheat). 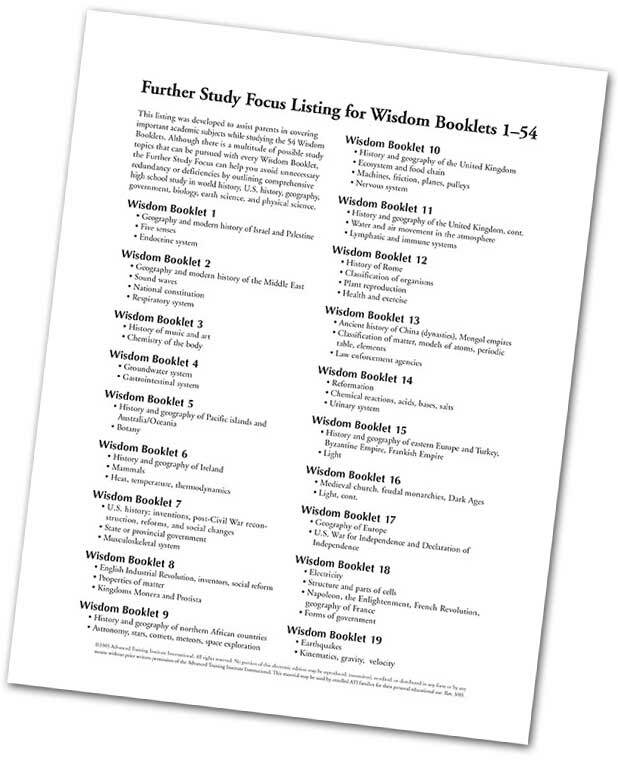 Although you will study the other Wisdom Booklet Resources and do related projects, you should make these two topics the main focus of your “further study” (beyond what is presented in the Wisdom Booklet). Perhaps take some fieldtrips related to Botany, interview missionaries who have been to the South Seas, or develop presentations on these topics by locating library books and writing reports. Plan to spend at least twice as much time on these projects as on any other project in that Wisdom Booklet. Designed to correspond with the Wisdom Booklets, the Wisdom Booklet Language Arts (WBLA) program contains three levels covering skill equivalents of second through twelfth grade. For the high school student, we offer two years of high school level WBLA (Level C 1–16) as well as additional study materials and courses to complete high school studies and propel the student into college-level language arts. To help determine the basic subjects that need to be covered by their students, parents should research their state’s requirements for high school graduation. A course, to educational officials, is a concentrated area of study measured in units*. By the time your students finish their high school education, traditionally they should have completed 4 units in English, 2–3 in math, 2–3 in science, 3 in history and social studies, 2 in physical education, 1 unit of art and music, and 3 elective units. These units, or credits, are measured according to the Carnegie Unit, which equals 150 total hours, or 36 weeks of 5 instructional sessions per week, each 45–50 minutes long. Students usually earn 5–6 units per year, for a total of 16–24 credits for graduation (requirements vary from state to state). In other words, your older students need to complete 150 hours of learning for every credit. Traditionally, this works out to 600 hours of English, 300–450 hours of math, 300–450 hours of science, 450 hours in history and social science, 300 hours in physical education, 150 hours of art and music, and 450 hours of electives. These hours of learning would generally be acquired over a period of four years. *Please note that high school units are completely different from college credits, such as those given by The Telos Institute International.